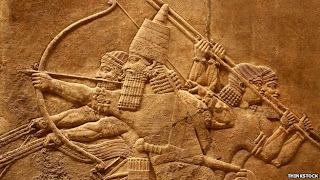 The first description of post traumatic stress disorder, in which soldiers sometimes hallucinate about the ghosts of men they have killed in battle, was often attributed to Greek historian Herodotus. 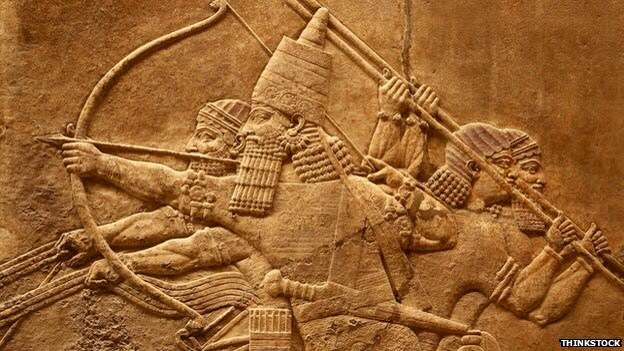 But now a team from Anglia Ruskin University has found references in texts from the Assyrian Dynasty in Mesopotamia dating back 7 centuries earlier to 1300 B.C.E. British clinical psychologist James Hacker Hughes says, "As long as there has been civilisation and as long as there has been warfare, there ha[ve] been post-traumatic symptoms. It's not a 21st Century thing."